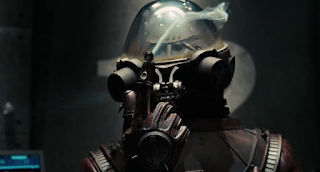 Cody Hamman tells of Film Appreciation for the 2008 sequel Hellboy II: The Golden Army. There are some sequels that I enjoy more than the original installments in a franchise, but there aren't that many sequels that I would actually say are better than the original. One of the exceptions is director Guillermo del Toro's Hellboy II: The Golden Army, which I think is a step up from its predecessor. I don't think this is a very unpopular opinion, although I do know that there are fans of the Mike Mignola-created comic book source material that feel Hellboy II drifted too far away from the tone of the stories on the page. I've never read a Hellboy comic book, though, so I can't say how it compares... 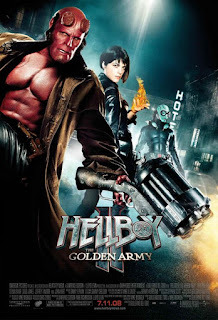 I do know that del Toro prefers Hellboy II over Hellboy, and that Mignola was on board with the story del Toro came up with for The Golden Army (which is an original story, not an adaptation of any of the comics). 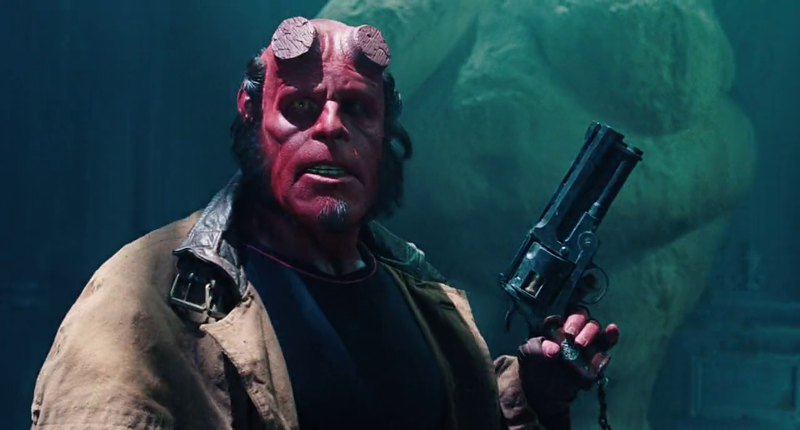 Beyond that, Hellboy II received more positive reviews than the first film and did better at the box office, so that's a good sign that a lot of people liked what del Toro did with this sequel. Hellboy II is certainly a film only Guillermo del Toro could have made - I assume the images in this film are a representation of what it looks like inside del Toro's mind all the time. It's packed with monsters, fairy tale creatures, and excellent visuals. The director concocted the story after diving deep into fairy tale mythology for another film, his movie Pan's Labyrinth, and he carried that fascination with fairy tales over into Hellboy II. The sequel begins with Professor Trevor "Broom" Bruttenholm (John Hurt, making a cameo after his character was killed off in the previous film) reading a bedtime story to a young Hellboy on Christmas Eve, 1955. It's a story that will turn out to be historical fact - at the dawn of time, man lived in peace with the beasts and all magical beings. However, man was greedy and sought to expand his dominion all over the Earth, causing a war to break out that claimed the lives of many elves, ogres, and goblins. This war was brought to an end when Balor, the King of Elfland, had a goblin blacksmith build an army of nearly 5000 hulking mechanical soldiers. The titular Golden Army. The Golden Army was so efficient at fighting off the humans that Balor felt sorry for them and decided to negotiate a truce: humans could have the cities while the magical beings would stick to nature. This fairy tale / history lesson is brought to the screen in a wonderful way, through an animated sequence where the magical beings, people, and the mechanical soldiers are represented by puppets. Balor's son Prince Nuada Silverlance (Luke Goss) disagreed with the truce so strongly that he exiled himself. All this time later, Nuada has grown tired of watching man destroy the planet and has returned to set the Golden Army loose once again. To do so, he will need to assemble the three pieces of a crown that will allow him to control the mechanical soldiers... starting with a piece that's being sold at an auction in New York. While retrieving this piece with the help of his pal Mr. Wink, a cave troll that has a mechanical right arm that he can fire out and then draw back to him on a chain, Nuada releases creatures that are much more dangerous that legend has led us to believe: tooth fairies. As it turns out, tooth fairies are vicious little things that feed on calcium. They start by eating the teeth, then keep going until they've devoured every part of a person. Demonic hero Hellboy (Ron Perlman) and his fellow Bureau for Paranormal Research and Defense agents - including his pyrokinetic girlfriend Liz Sherman (Selma Blair) and psychic gillman Abe Sapien (Doug Jones) - are sent to look into this tooth fairy incident while the FBI's Tom Manning (Jeffrey Tambor), head of the BPRD, provides a cover story to the press. Manning is at his wit's end trying to keep Hellboy's existence a secret while Hellboy allows himself to be spotted all the time. I don't really understand why this secrecy is still an issue after the subway sequence in the first movie, where lots of people were on hand to witness Hellboy battling a monster, but apparently Manning is better at his job than even he believes he is. 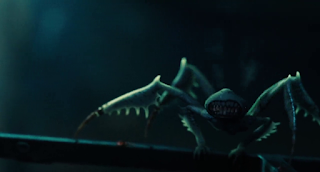 Regardless, Hellboy is revealed to the world when he allows himself to be knocked through a window by the wave of fire Liz destroys the tooth fairies with. Landing on the street below, he's quickly swarmed by reporters and camera crews. I'll accept that bit of oddness because it results in the FBI sending in a new agent to oversee what's going on at the BPRD - a move that's also necessary because Hellboy had Agent John Myers from the first film transferred to Antarctica. 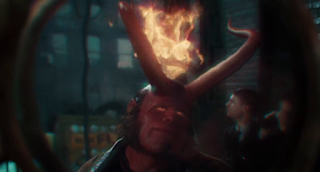 This seems a bit cruel, but Myers only existed as an audience stand-in to help ease us into Hellboy's world, and we didn't need to see things through his perspective this time around. The new agent is a terrific addition to the team: Johann Krauss, who is said to be the top man in ectoplasmic research. 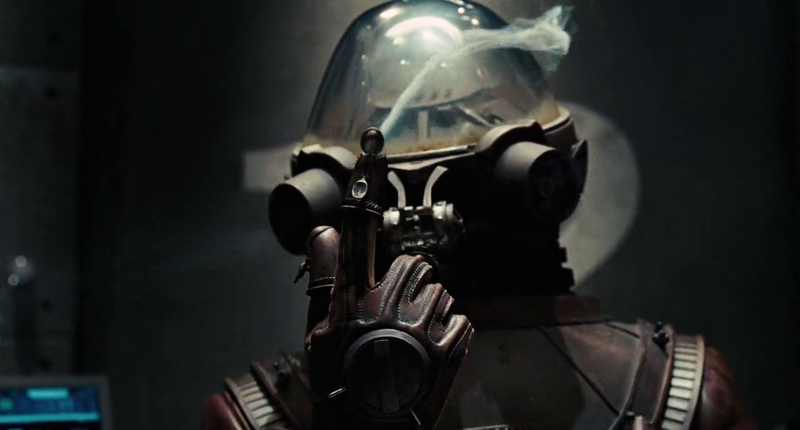 That makes sense, since Krauss (who is voiced by Seth MacFarlane, putting on a German accent) is an ectoplasmic being, the smoky substance he consists of filling up an outfit that is basically an old diving suit. Krauss may just be literally a stuffed suit, but he's a great character and MacFarlane's vocal performance brings him to life in a wonderful way. 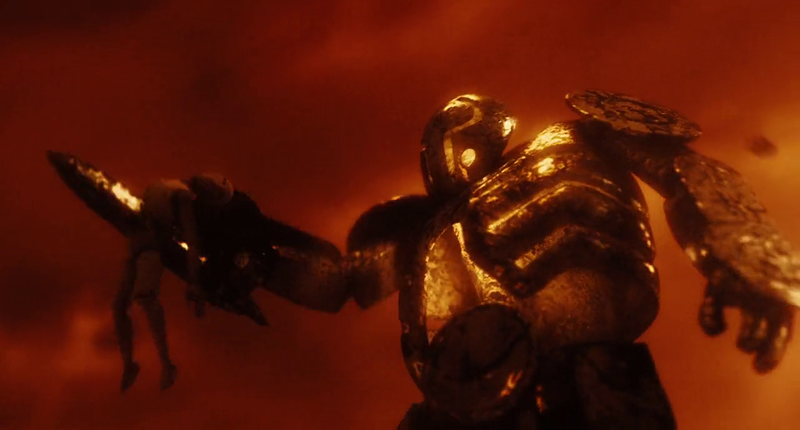 Last time, it was revealed that Hellboy can revive corpses to gain information from them. Krauss can do something very similar by filling a dead body with his ectoplasm. He pulls the trick with the corpse of a tooth fairy, and this leads the team to a troll market that's hidden beneath the Brooklyn Bridge. The FX team really gets a chance to shine during the scenes set at the troll market, with is packed with a variety of creatures. The creature effects in this film are fantastic, and much of them appear to have been practical effects. The trolls look like things you would have seen in a Henson production during the 1980s. 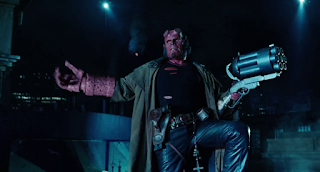 There was a love story between Hellboy and Liz at the center of the first movie, and their love continues into this sequel, although they have hit a rough patch. Liz is finding it hard to keep her cool while living with Hellboy and his messy, childish ways. 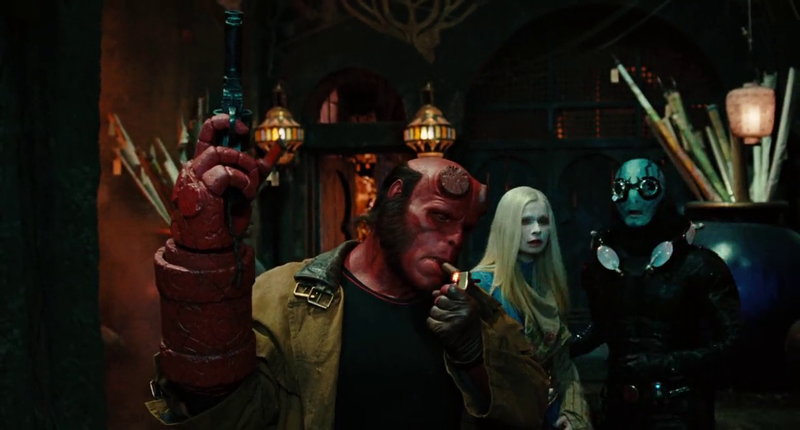 Their relationship reaches a new level over the course of the film, and while it's odd to think of a human woman being in an intimate relationship with a demon, Hellboy's personality helps you understand the situation. As it did in the first movie. I can't imagine what their offspring are going to be like, though. Another love connection gets added into the mix at the troll market when Abe meets Nuada's twin sister Princess Nuala (Anna Walton), who does not agree with her brother's plans. 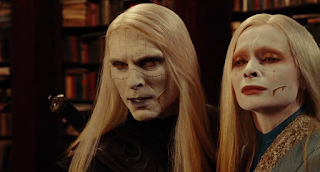 Nuada and Nuala share a very deep mental and emotional connection - so deep that if one is injured, the other is wounded as well. That makes stopping Nuada more complicated than it would have been otherwise, because if Nuada is killed Nuala will also die. Action, emotional beats, and a near death experience for Hellboy carry the film through the climax, which takes place in the underground lair where the Golden Army has been standing dormant. The first film also took place in an underground lair and actually, if you break Hellboy and Hellboy II down scene by scene you'll find that they're nearly the same movie in structure. The difference comes in tone, specific events, and characters... and I find that the tone of this film is more appealing than its predecessors, its specific events are more interesting to watch unfold, and the characters are better this time around. I don't want to run Hellboy into the ground to build up Hellboy II, I'm just celebrating the fact that del Toro delivered a superior sequel to an already great film. Nuada is a great villain. You can sort of understand where he's coming from, it makes sense that he would be upset with humans and want to eradicate them so magical beings can emerge from the shadows... that's just not something that can be allowed to happen. He has to be stopped, and stopping him proves to be troublesome because he's a skilled fighter, gains control of the Golden Army, and has that connection with Nuala. 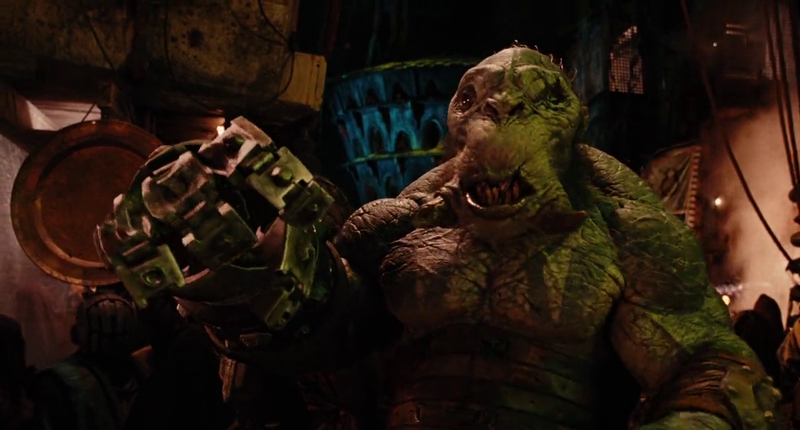 I never got much enjoyment from watching the villains of the first movie, aside from some moments with Kroenen. Overall I found them to be off-putting and underwhelming. Hellboy II doesn't have that problem. This one also doesn't have the repetition of the Sammael fights. 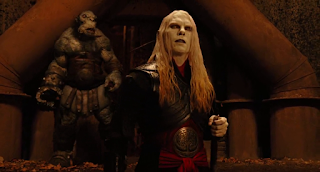 It throws a bit more variety at Hellboy - there's the tooth fairies, the awesome Mr. Wink, a forest god, the mechanical soldiers, and of course Nuada himself. There's also a great moment in which Hellboy and Krauss get into an altercation, and the one who doesn't have a body obviously has the upper hand. While it's a shame that del Toro never got to make a Hellboy III (the franchise is now being rebooted), at least he managed to make two excellent Hellboy films. Hellboy II moves along at a quick pace, keeps things interesting, and ends on a good note. 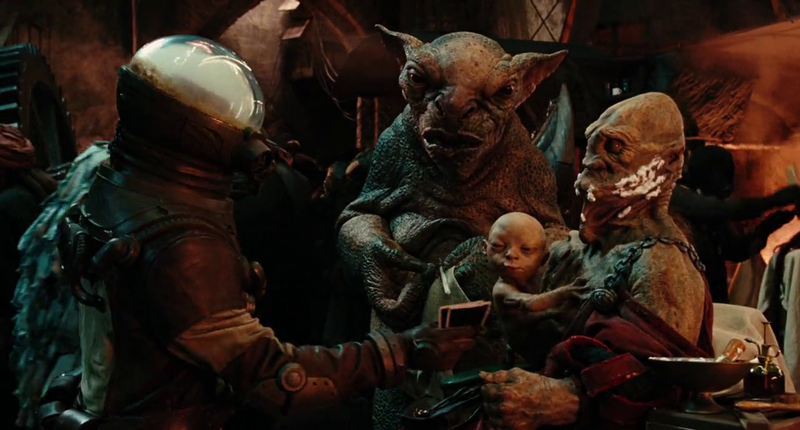 There was more story that del Toro wanted to tell, but this film ends on a satisfying note. I'm happy with what we were able to get from del Toro and Perlman, and look forward to seeing what Hellboy's cinematic future will hold.